As you probably remember from my earlier posts, I am in the process of migrating my product based websites to 3DCart. With all the extra features on 3DCart, the time and effort was worth it! 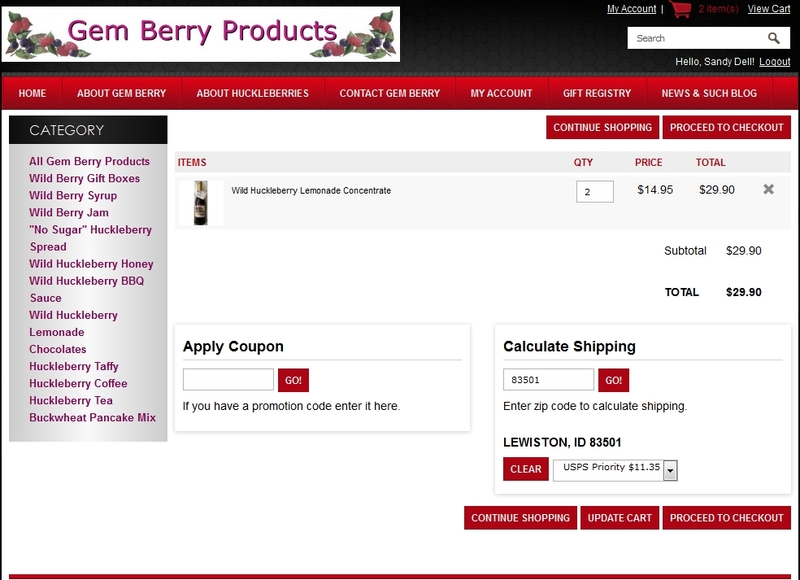 In November of last year, I transferred all the product information from the Gem Berry website that I manage. At the time, I was in a rush, so I set up a standardized shipping amount to get the site going before the holiday rush! In January, I started integrating actual shipping costs through the 3DCart system. 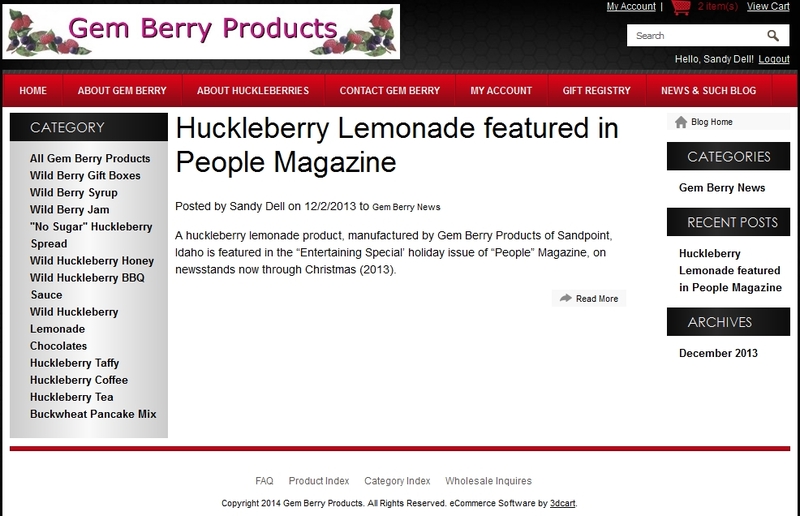 Most of the products from the Gem Berry site are shipped USPS — so I started there. First, I entered the weight of each of the products — adding an additional ounce or two to accommodate the shipping materials. After that, I integrated our online USPS account — using all the information I already had inputted into the account previously. The process alerted USPS who sent me a code to enter into the website. After a couple tweaks and checking with 3DCart customer support, I now have on-the-shop shipping figures. As you can see from the image above, customer’s can input their zip code in the Calculate Shipping box via the view cart window and the website will automatically calculate their shipping fees. I plan to also integrate UPS shipping options, so customer’s will have the option via the pull down menu (under the Lewiston, ID 83501 note) to chose which carrier they would prefer. A second new function that I have worked into the site is the blog option. Since SEO is increased with activity on a website, a blog is a good way to create that activity. The blog was much easier to implement as I did not need to work with a second party. Adding the blog page was my first step. From there I just worked in the settings such as categories, header, and copy. As you can see, it lists teaser copy with a READ MORE button. The post is also listed under Categories, Recent Posts and Archives. All are pretty empty right now — but I just started!! I am really excited by all the features available with 3DCart! Well, I need to get going now — have a new post to publish!! ← Don’t Give Up Selling Your Products Yourself!